Dan Senn would have made the best sound effects specialists in Hollywood a little envious Monday night in Ball State University’s Strother Theater. Senn, director of the College of Fine Arts computer laboratory and an assistant professor of music, “bleeped”, “plunked” and “blooped” an audience of about 80 people with his Intermedia Art performance, featuring computer sound effects accompanied by visual slides. Senn’s presentation began with a text reading accompanied by computer sounds created from the score of Euripides’ Trojan Woman . Following the lead-in, a variety of computer melodies were introduced featuring visual slides of Senn and coordinating photographer Tim Brook’s boyhood life. Brook, a professor of mathematics at the Australian National University, combined the photographs of Senn and himself without hearing the computerized music accompaniment, Senn said. Those photos used in Goyboys (the title of one of Senn’s presentations) were photos that my mother took of me in the ’50s and the photographer’s mother took of him in the ’50s, Senn said. The title of that particular presentation stemmed from the term goy , which was a derogatory title for people of non-Hebrew descent, he said. The computer sound effects selection for Goyboys was based on the popular Beatles tune, Yesterday , Senn said, even though listeners probably were unable to pick out familiar strains. Senn said the popular Beatles song uses the same music technique, a 12-tone, as do many other pop tunes, making Yesterday very useful for his program. Besides, the title is Yesterday , he said. It’s about my life and Tim’s (the coordinating photographer) life. (The selection) was based on anti-Semitism, Senn said. After reading works by authors Chaim Potok and Isaac Singer, as well as information based on the Holocaust, Senn said he was moved to create the piece. 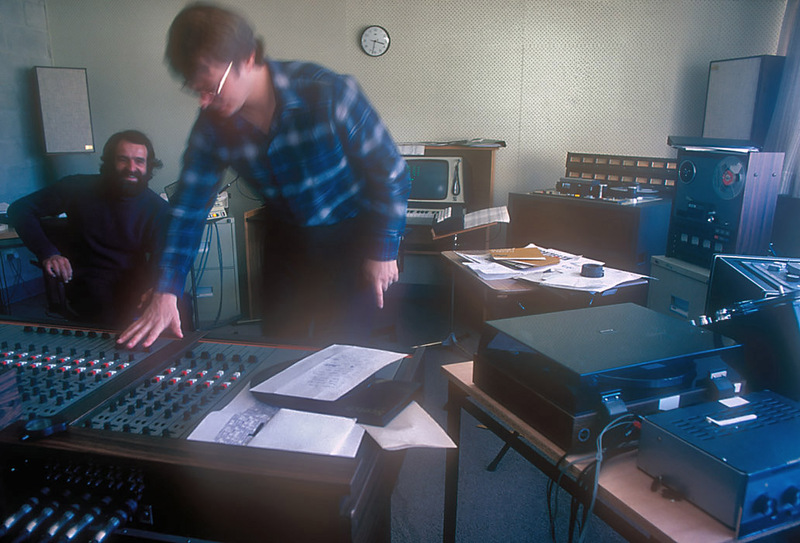 The entire program ran the gamut of computer-created sounds, such as hoofbeats, a windstorm, the ticking of a clock and the constant dripping of a leaky water faucet. In addition, Senn intertwined some human emotion into the computer effects with the taping of children’s voices, the wild, roaring applause of a game show audience and the rousing bellows of a backwoods preacher in a small country church. The 37-year-old bearded professor said he has been involved in computer art since about 1972. It’s introspective, Senn said. It’s all very symbolic. This page was last updated on 11 February 2019 .